Diabetes is an inflammatory disease that affects the body’s ability to process sugar. If you have diabetes, it is particularly important to maintain excellent oral health. This is because diabetics are more likely to suffer from oral infections including periodontal (gum) disease, which can be a cause for bad breath and tooth loss if left untreated. On the flip side, the existence of gum disease can make it harder for people with diabetes to control their blood sugar levels. One disease can actually feed the other. Periodontal disease is a chronic ailment that is also associated with an elevated level of systemic (whole-body) inflammation. Like diabetes, it can have wide-ranging consequences outside the mouth — possibly increasing the chance of major cardiovascular events including heart attacks or strokes, and adverse pregnancy outcomes including low birth weight and pre-term delivery. At the Glenroy Dental Group we want you to completely understand the link between these two dangerous diseases, as well as what you can do to fight them. And diabetes can be a killer. 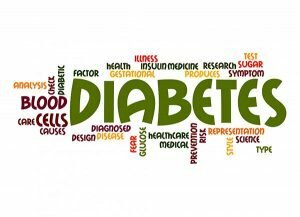 This is why the link between periodontal disease and diabetes can be so important. According to one major study, the risk for a diabetic of dying from a heart attack is two times higher if severe periodontitis is also present — and for kidney disease, your risk is 8.5 times higher! Uncontrolled periodontal disease also makes it six times more likely that your ability to control blood sugar levels will decline over time. So not only can having one of these conditions put you at risk for worsening the other —both can cause a significant decrease in your overall health. Dentists and doctors have long been aware that diabetes can increase the severity of periodontal disease. Diabetes undercuts the body’s ability to fight infection, making diabetics more prone to bacterial and fungal infections of all kinds, including those of the mouth. Conversely, evidence demonstrates that serious gum disease (periodontitis) is likely to lead to decreased blood glucose control in diabetics – which increases the risk of diabetic complications. All the news is not bad, however, as studies show that diabetics who are treated for periodontal disease receive significant overall health benefits. Many exhibit better blood glucose control and improved metabolic functioning after periodontal treatment. Regular dental visits are critical. Treating gum disease can improve blood sugar control in patients living with diabetes, decreasing the progression of the disease. Practicing good oral hygiene and having professional deep cleanings done by your dentist is part of this. Control blood sugar levels. Use your diabetes-related medications as directed, changing to a healthier diet and even exercising more can help. It should go without saying, but don’t smoke! Brush twice a day with a soft brush, floss once, and regularly replace your dental tools at home. Visit your Glenroy Dental Group dentist for regular checkups. When you come to the Glenroy Dental Group, be sure to let us know if you’re being treated for, or are at risk of developing diabetes. If you are dealing with diabetes, remember that it’s more important than ever to maintain good oral health!